Brisbane Roar stalwart and Asian Cup-winning midfielder Matt McKay will retire this month after an 18-year professional career. Cannavaro, who was put in charge for the four-team tournament following Marcello Lippi's departure after January's Asian Cup, failed to inspire his side as Chanathip Songkrasin's 33rd minute earned..
▶ Videos for "Asian Cup"
Sergio Aguero keeps up his stunning record vs Arsenal with a hat-trick as Man City win 3-1 at the Etihad, but is he still the best striker in the Premier League? 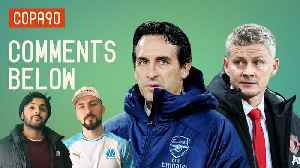 Poet and Vuj discuss this, Man United's..
Sergio Aguero keeps up his stunning record vs Arsenal with a hattrick as Man City win 3-1 at the Etihad, but is he still the best striker in the Premier League? 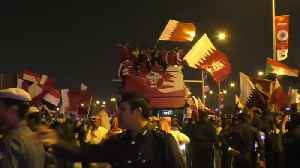 Poet and Vuj discuss this, Man United's..
Thousands cheer the Maroons, Qatar's national football team, as they arrive in Doha after winning the Asian Cup title. 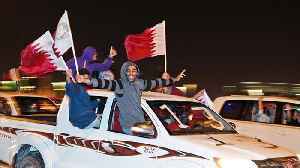 Crowds watching the Asian Cup Final at the Mall of Qatar erupted in celebration when Qatar defeated Japan 3-1 on February 1 to win the cup at the Zayed Sports City Stadium in Abu Dhabi, Khaleej Times..
Qatar to face Japan in the final after beating hosts in front of a hostile crowd in Abu Dhabi. 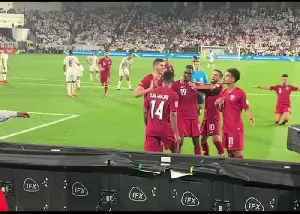 Qatar hammered hosts the United Arab Emirates 4-0 on January 29, to reach the final of the 2019 AFC Asian Cup. 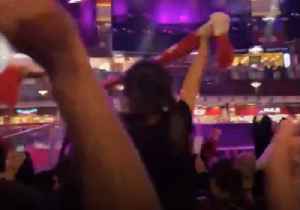 And the hometown fans were none too happy – raining shoes and bottles down onto..
Unai Emery’s Arsenal look to end Ole Gunnar Solskjær’s run of seven straight wins in charge of Manchester United in tonight’s FA Cup. 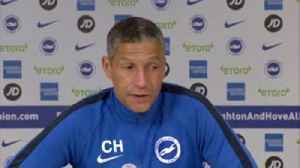 Eli and Vuj preview the fourth round, look back on Thierry..
Brighton manager Chris Hughton has confirmed goalkeeper Matt Ryan is back and available for selection after returning from the Asian Cup. Unai Emery’s Arsenal look to end Ole Gunnar Solskjær’s run of seven straight wins in charge of Manchester United in tonight’s FA Cup. 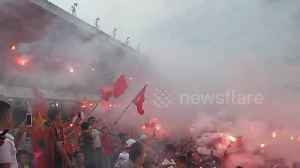 Vietnamese football fans lit up the streets with flares after a win against Jordan in the Asian Cup 2019, entering the quarterfinals of this tournament for the first time. 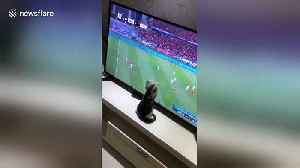 A kitten watching Asian Cup 2019 tried to catch the football on a TV in eastern China. The hilarious video, filmed in Qingdao City in Shandong Province on January 8, shows the cat named Mei Jia.. 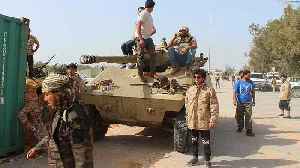 It's the first time war-torn Yemen participates in the competition. And their opponents come from a nation they are no stranger to. 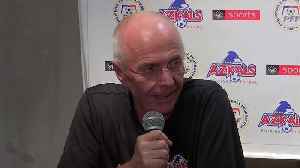 Sven-Goran Eriksson takes over as coach of the Philippines national side and says he likes to work. 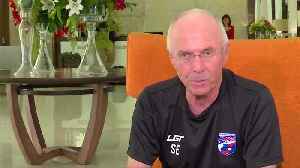 Former England manager Sven Goran Eriksson is targeting a strong performance in this month's Suzuki Cup with his new Philippines side after beginning his new role as head coach on Monday. 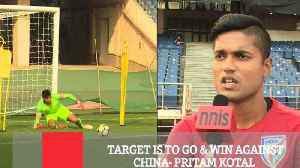 The Indian football national team will use the opportunity against China to obtain a baseline as to where they stand among Asia’s big guns before the AFC Asian Cup showdown in January. 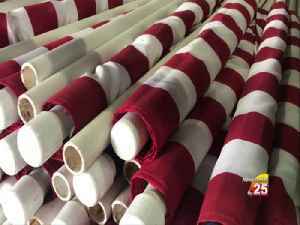 Ahead..
West Indies cricket team is all set to take on Asian Cup champions Indian cricket team in the opening Test match in Rajkot. West Indies hold advantage over India when it comes to number of Test series..
Rajkot (Gujarat), Oct 02 (ANI): West Indies cricket team is all set to take on Asian Cup champions Indian cricket team in the opening Test match in Rajkot. 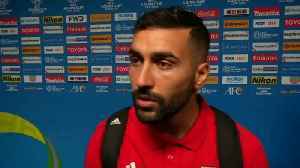 West Indies hold advantage over India when it..
Fresh from starring at the Asian Cup, Socceroos defender Rhyan Grant has set his sights on more continental success after signing a fresh deal with Sydney FC. ABU DHABI (Reuters) - Qatar running rampant to secure a maiden Asian Cup title in Abu Dhabi might have been the worst-case scenario for the hosts but it also offered hope for Gulf football that the..
Qatar secured the biggest soccer prize in its history, beating the tournament favorite Japan 3-1 in the Asian Cup final in Abu Dhabi — an against-the-odds victory that prompts hope that the tiny Gulf..
Qatar players celebrated and danced into the Abu Dhabi night after their Asian Cup win, but they are already looking ahead to the 2022 World Cup. ABU DHABI (Reuters) - Almoez Ali scored with a spectacular overhead kick for a record ninth goal of the Asian Cup to set Qatar on their way to a first continental title with a stunning 3-1 win over..
ABU DHABI (Reuters) - Almoez Ali scored a spectacular overhead kick for a record ninth goal of the tournament to set Qatar on their way to a first Asian Cup triumph with a stunning 3-1 win over..
On the day of the Asian Cup Final, protesters have gathered in Sydney and Melbourne to demand the release of the Australian football player from a Thai jail. 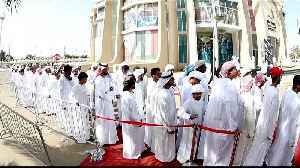 On the eve of the Asian Cup final between Qatar and Japan, the United Arab Emirates have formally questioned the eligibility of two Qatari players. 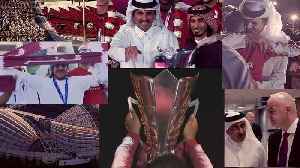 Qatar will face Japan in the final of the Asian Cup after a spiteful 4-0 win over hosts UAE which was heightened by diplomatic clashes in recent years. 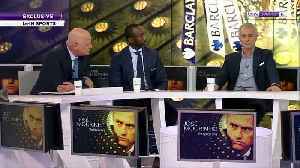 Carlos Queiroz immediately ended his eight-year stint in charge of Iran after Asia's highest-ranked team was knocked out in the semi-finals. Aaron Mooy has recovered from the knee injury that kept him out of Australia's disappointing Asian Cup campaign and could feature for the Terriers this week. The Samurai Blue have been scraping through their matches and next face the competition's form team Iran in the final four. ABU DHABI (Reuters) - Any temptation to become over-dramatic about the premature end to Australia's defence of their Asian Cup title would have ceased abruptly when the news of a genuine tragedy..
Socceroos captain Mark Milligan will decide on his international future in coming weeks as the 33-year-old comes to terms with a disappointing Asian Cup exit. Socceroos captain Mark Milligan has some big decisions to make about his international future after the team's Asian Cup exit. After failing to score across 300 minutes of football at the Asian Cup, the Socceroos have some big questions to ponder as the focus switches to Qatar 2022. It wasn't the exit they had planned, but Socceroos coach Graham Arnold believes there's plenty of positives to take out of the Asian Cup. The tragic death of Awer Mabil's sister in a car accident in Adelaide has put the Socceroos' disappointing Asian Cup in perspective.